The vineyards at Sebes in Transylvania are situated in one of the Romania’s oldest and most renowned regions for its dry white wines. The grapes used in this wine are the result of a superb vintage at Sebes. The cooler climate of this region, its altitude (100-600 meters above the sea level), the vicinity of Mures and Secas rivers, the early morning mists and the forest soils (brown and alluvial brown) , all ensure a slow ripening of the grapes, thus preserving their delicate aromas and providing the wines with lively acidity. 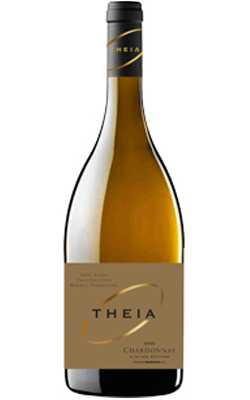 Our Chardonnay is a classic exponent of the ‘modern’ style of barrel fermented Chardonnay: the wine structure is lighter and fresher with cleaner, crispier mouth-feel. Light straw in colour. Fermentation and maturation in new American oak has added delicious creamy nose of vanilla, scented honey liquor and a strong presence of spicy nutmeg. An explosion of luscious ripe apricots, fine zest of melons and some exotic grapefruit. An ideal pairing for fresh fish thrown on the grill or pasta tossed with basil, chicken with grilled vegetables or seafood dishes.